Are you applying for the Jack Kent Cooke Foundation Undergraduate Transfer Scholarship? We’ve listed the key elements you’ll need in order to complete your application. For additional information about this scholarship and eligibility requirements, visit our How To Apply page. If you have specific questions regarding your application or eligibility, please email scholarships@jkcf.org, or call our Application Help Desk at 1-800-941-3300. The Help Desk is staffed Monday-Friday from 8:30 a.m to 5:00 p.m. EST. 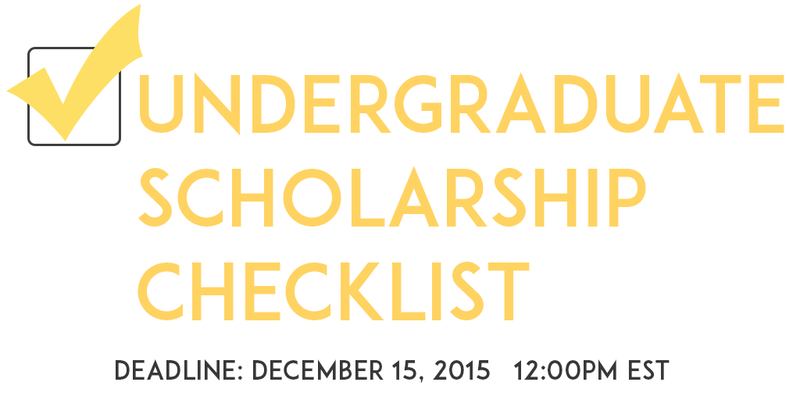 Print out this checklist and then return to your application to confirm you have all the materials ready to submit. We’ll need transcripts for all college course work and institutions attended within the past 15 years. Access your transcripts by asking your school’s office. Our online application will guide you through a series of short answers and essays about your life to give us a better picture of who you are apart from your test scores and grades. Take your time, your answers will be saved, and you can continue every time you log back in. Need inspiration? Here are some tips on brainstorming great personal essays. We ask for a copy of your resume listing your work experience and community service involvement. This section of the application will ask you to provide your 2014 income and benefits, current assets, and to detail any unusual financial circumstances. If you have taken the TOEFL, you will be prompted to upload the official score report. Please be sure to include the front and back of all pages in a single file. Here’s what a W2 looks like, so you can dig yours up. If you are married, we require complete 2014 tax information from your spouse as well. Do you still need to file? Visit the IRS for more information. Visit our FAQs for help. If you are under 30 years old, both of your biological or adoptive parents must complete the Parent Financial Forms online. Visit our FAQs for help. Here’s what a W2 looks like. Do your parents still need to file? Visit the IRS for more information. If your parents haven’t filed and don’t plan to, you can still apply. Visit our FAQs for help. Your first recommendation must be completed by an academic professional at your current or most recent two-year institution. Here’s a guide on how to ask for a recommendation and when you should start. Your second recommendation should be from a professor, advisor, instructor, or another person who is well acquainted with your work and character. We strongly suggest having the second recommendation completed by an academic professional at your current or most recent two-year institution.